Leasing momentum is building in the North Sydney office market, with a series of recent deals highlighting a genuine reluctance on the part of many long standing occupiers to consider a move across the bridge. World leading information technology research and advisory company Gartner, telecommunications provider ACN Pacific, ICT solutions provider Plant Tel and insurance software company BA Insurance Systems as well as FireEye Australia and Workday Australia have all staked their claim on new office space in North Sydney in deals totalling 6,383sqm. Director of CBRE's North Sydney Office Services Team Stefan Perkowski was involved in the transactions with Gartner, ACN Pacific and Planet Tel and is currently working on several additional leases that are expected to set new benchmarks for the North Sydney market. "We've seen a groundswell of business confidence, with tenants prepared to sign up for longer leases while also capitalising on opportunities to update their office accommodation," Mr Perkowski said. "What's also encouraging is that very few tenants are looking to jump ship and relocate to the CBD, as often happens in these types of market cycles, when attractive CBD incentives are being offered. Our analysis of last year's lease deals showed that just 8% of relocating tenants elected to move across the bridge, with the majority of moves involving companies expanding into better quality North Sydney buildings. "IT and Telco companies continue to be the most active North Sydney tenants, as highlighted by a number of recent deals, including the largest lease year-to-date involving Gartner. Gartner has committed to lease 2259.4sqm of space in North Sydney's newest building, 40 Mount Street, which is co-owned by Investa Commercial Property Fund and Pramerica. Gartner, who was represented by Independent Corporate Property's Stuart Allison will relocate from a nearby North Sydney building they have occupied for the past 10 years. "Gartner had a wide brief, which included the CBD, North Sydney and St Leonards," Mr Allison said. "They had a real drive to improve their premises and provide state-of-the-art office accommodation to assist in staff attraction and retention. This swung the balance towards North Sydney, where they were able to lease the top two floors in the area's newest building. 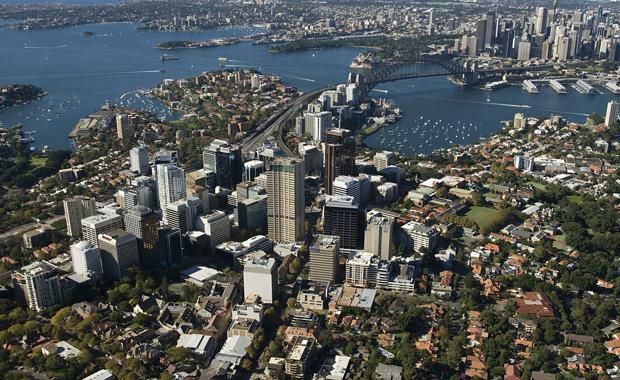 "Another recent North Sydney deal involves ACN Pacific relocating from 1 Pacfic Highway to Blackstone-backed Valad's 90 Arthur Street tower. ACN - The world's largest direct seller of telecommunications and essential services - leased 816sqm on level 5. The five-year rental was agreed at a strong commencing rental of $495/sqm. The 90 Arthur Street building was recently extensively upgraded, with a new ground floor lobby and the establishment of a lobby cafe. That has paid dividends with both the ACN lease and another recent deal involving insurance software company BA Insurance systems. BA secured 500sqm of office space with balconies after agreeing to a rental of $575/sqm net. "There is an imbedded culture with many of these North Sydney occupiers, who like the convenience of being in a lower north shore location which is close to schools and provides a good work/life balance," Mr Perkowski said. "The investment by North Sydney Council in public space upgrades such as Brett Whiteley Place and Mount Street Plaza is providing added impetus for tenants to remain in this market as is the entrance of boutique retailers such as Bourke Street Bakery and popular dumpling haunt Din Tai Fung." As part of its push to re-launch North Sydney as a destination for business and residents, the council recently adopted a new slogan, Happiness works here, to promote the area's unique work/life balance attributes.